A review of the company's business activity in 2017 | North Food Polska S.A.
As in previous years, North Food Polska has reviewed the past year. The President of the Company’s Management Board along with members of the Board have presented the results achieved in 2017, as well as development directions for all areas of the Organization for the next twelve months, and plans for new openings. “The past year was certainly successful. Solid LFL sales growth, profitability in all newly opened restaurants, launching the first North Fish Easy or delivery channel in Warsaw, were certainly the milestones in the development of our Organization. It was also the year of a number of historical achievements in our Company, for example, we achieved a record daily and weekly sales, but also we celebrated the 15th anniversary of North Food founding. I have high hopes for the future, because we will face bigger and more interesting challenges, and already in 2018 we want to increase the number of restaurants by 20% and reach out to our Guests in at least 4 new cities” – says the President od the Management Board Szymon Adamczuk. During the meeting, the best employees were awarded in several categories, including Head Office Employee of the Year, Restaurant Manager of the Year, and District Manager of the Year. North Food Polska S.A. is a dynamically developing organisation which runs a chain of restaurants. The company was founded by Michał Sołowow in 2002. North Food currently manages 42 restaurants in the Quick Service Restaurants and Casual Dining Restaurants segments, in two formats: North Fish and JOHN BURG. 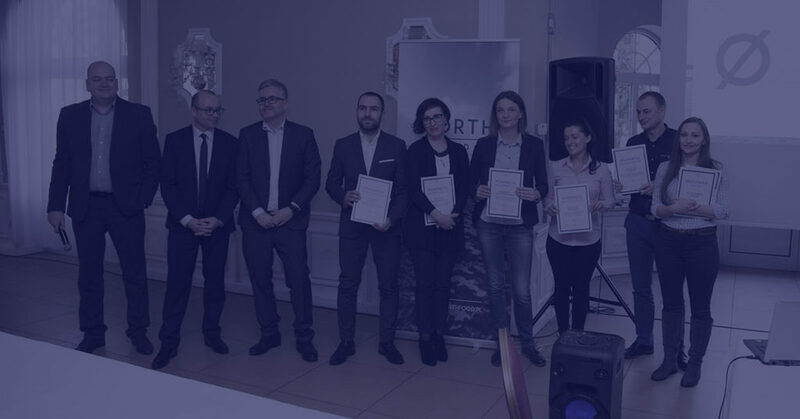 North Food Polska S.A. is part of the Michał Sołowow Group, which includes such established companies as Synthos, Cersanit, Barlinek and Komfort, as well as start-ups like 3DGence, New Era Materials and Homla.